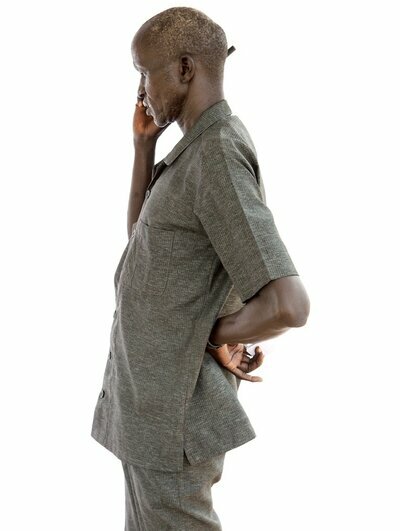 What would you say to someone you hadn&apos;t spoken to in years, if you only had three minutes to talk? Chan Majok, 32, lost track of her eldest brother two years ago when the civil war erupted in South Sudan. Since then she&apos;s been unable to talk to him, in part because the government has cut off cellphone service to the northern oil-rich region of Unity State, where forces opposed to the government control territory. Her 12-year-old daughter is living with this brother, and she doesn&apos;t even know if her child is alive or dead. Then one day she recognized her brother&apos;s face in a booklet of faces, published by the Red Cross to help family members reconnect. And now she has her chance. 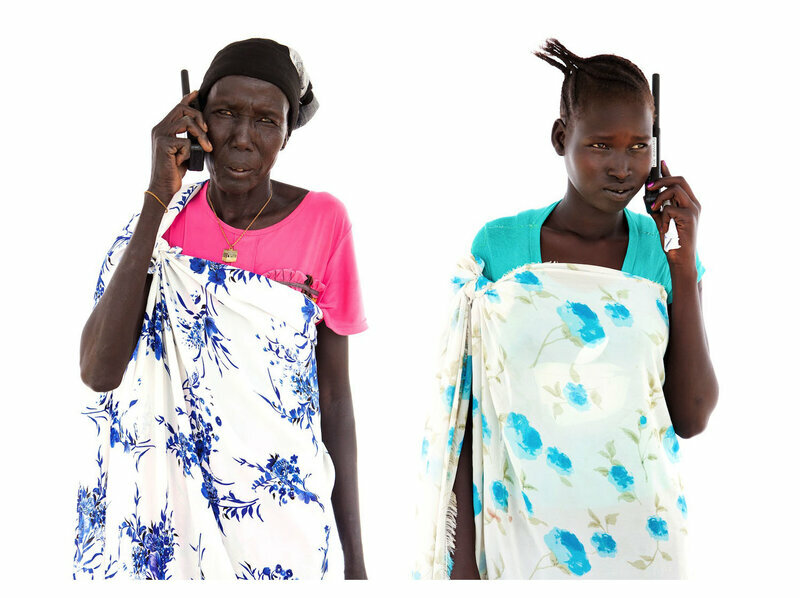 The International Committee of the Red Cross (ICRC) is offering a three-minute phone call to South Sudanese who were displaced during the past two years by civil conflict. The offer is part of a larger Red Cross effort to help connect — and even reunite — families divided during the conflict. So far, the Red Cross says it has reunited 700 families, hand-delivered 7,700 messages from separated family members and initiated 112,000 free phone calls. 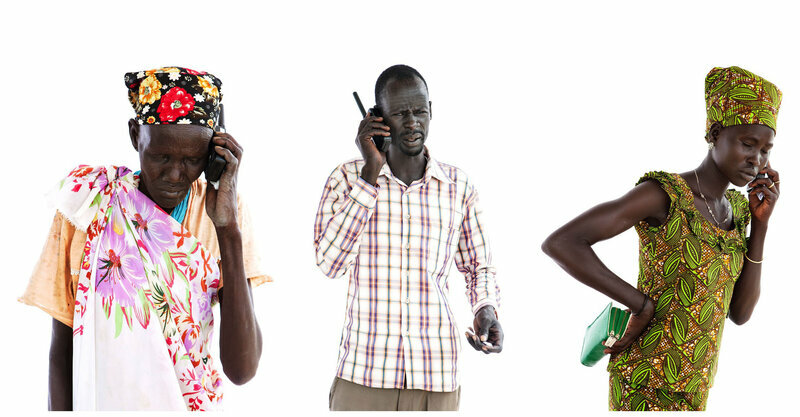 It took a month for the ICRC to arrange Majok&apos;s call to a satellite phone. She is in a Red Cross tent in a U.N. displaced person&apos;s camp in Juba, the capital city. Somewhere in Unity State, under a tent much like this one, her brother is waiting to hear from her. She gets a recording when she first attempts a phone call. On her second try, she gets him. But only for a moment. It&apos;s a bad connection. Like millions of South Sudanese, Majok doesn&apos;t feel safe enough to go home. Sporadic fighting continues even though political rivals President Salva Kiir and his ex-deputy, Riek Machar, have signed a peace deal. The phone call comes with a catch. Only "family matters" are an approved topic of conversation. A second earpiece is given to a Red Cross volunteer to make sure politics isn&apos;t discussed. ICRC field officer Nour Basonugo Husstein explains the terms: Saying your relatives were slaughtered? That&apos;s allowed. Saying your relatives were killed by government forces or their allied militias? That will have volunteers scrambling for the hang-up button. Today, under the tent, there seems to be no time to talk of politics. Peter Teak Mok Boar reaches his wife in the village of Ayut only to hear a litany of bad news. She and their children are desperate for basics: clothes, schools fees and electricity. The conflict has disrupted planting cycles. And government soldiers and allied militias have even stolen people&apos;s goats and cows. Boar had a good job as an oil company driver in the capital before the conflict began and was sending money back home. Now, hearing of his wife&apos;s situation, he&apos;s too upset to pay attention to the Red Cross volunteer frantically pointing to his watch. Boar&apos;s three minutes end mid-sentence. Sometimes a program meant to close the distance between families can seem to increase it. Nyakueth Kuong scheduled a call with her husband, whom she hasn&apos;t spoken with since she fled to this camp in February. On the other end, the satellite phone rang and rang. No one could explain why the call went unanswered. The time limit is so everyone can get their turn. Chan Majok returns to make one last attempt to get news of her eldest daughter. This time, through static, she is able to hear her brother say that her daughter is fine, that the family&apos;s fine. Majok beams, one hand covering her splayed teeth. She even manages to slip in her "bye" just microseconds before the cutoff.